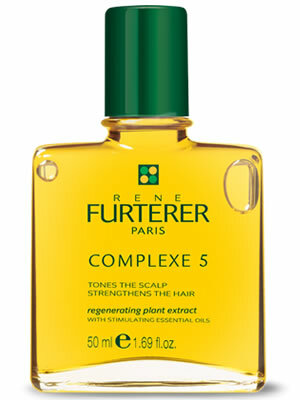 Rene Furterer Complexe 5 Regenerating Extract is essential for healthy scalp and beautiful hair. Its unique concentration in orange, lavender and verbena essential oils stimulates microcirculation and invigorates scalp to enhance the growth of healthy, beautiful hair. Rene Furterer Complexe 5 also refreshes the scalp and helps optimize the effectiveness of other treatment products. It does not contain Parabens, Sulfates, Synthetic Fragrances, Synthetic Dyes, Petro-Chemicals, Phthalates and Triclosan.